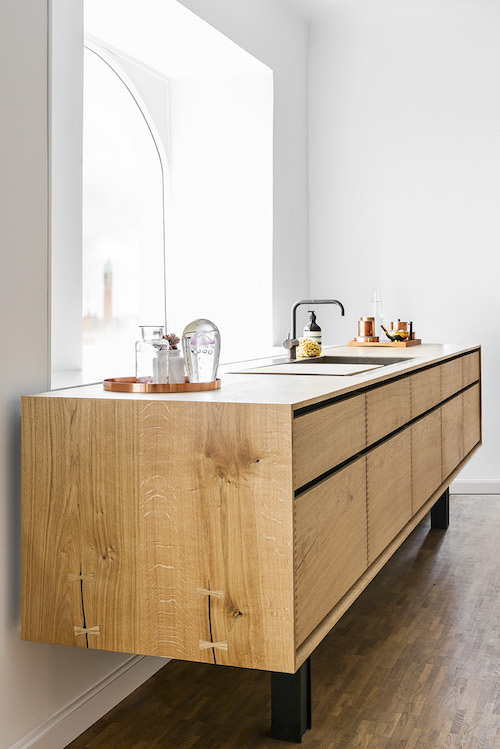 GARDE HVALSØE have teamed up with Danish flooring company Dinesen to create this handcrafted masterpiece kitchen. 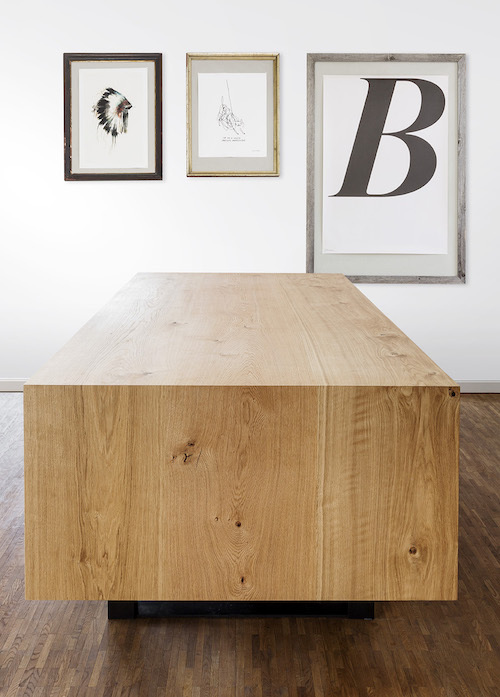 The large format floorboards are used to create a seamless look on the cabinetry fronts and bench top. 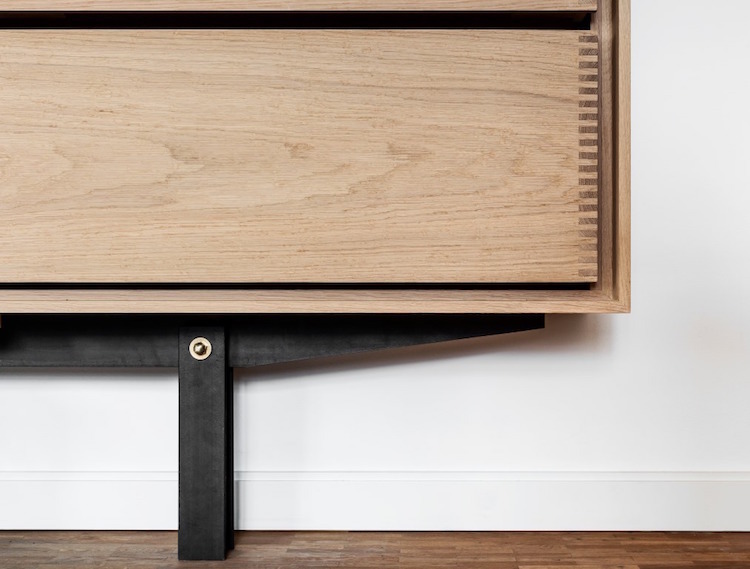 The cabinetry sits on a steel frame that is made of waxed raw steel with brass details. 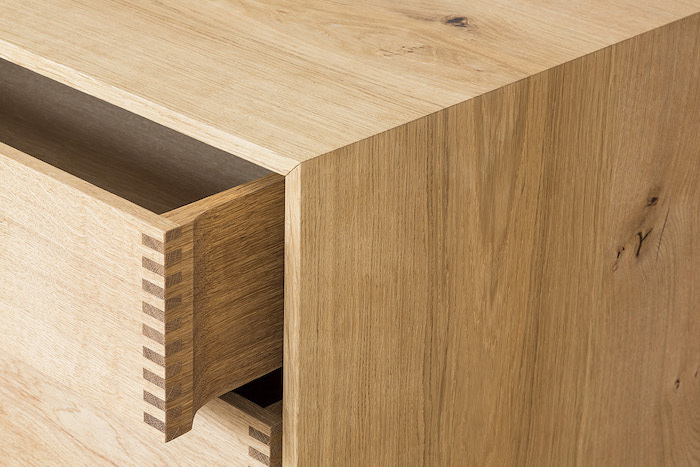 The oak cabinetry is finished with an oil coating. The detailing is absolutely exquisite.